Strolling around Austria’s biggest city, dubbed the City of Music, is like simultaneously stepping back in time and stepping up in class. You can trace the footsteps of Mozart, Beethoven, Haydn, or Schubert—or waltz along to their compositions at one of the town's many balls. (When you're done, don't forget to refuel with some Viennese coffee and a hot dog.) Read on for more facts to file away about Vienna. 1. A military camp called Vindobona was set up where Vienna is now around 50 CE, but the first documents bearing the name Wenia surfaced in 881 [PDF]. It was mentioned as a town in 1137 and the town charter was granted in 1221. 2. 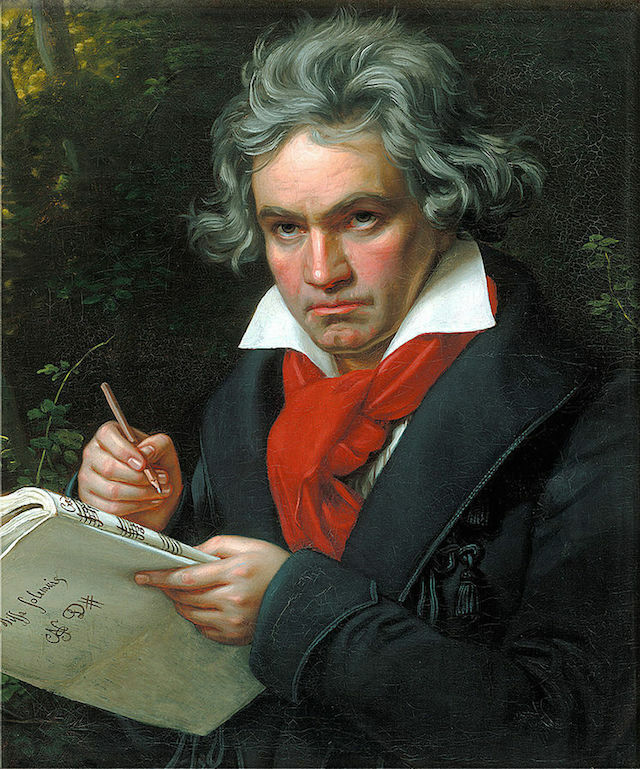 Napoleon occupied Vienna in 1805 and again in 1809, and both events affected Ludwig von Beethoven. The first interrupted the premiere of what ended up being his only opera, Fidelio. And during Napoleon's May 10, 1809 siege, the prodigy, who was beginning to lose his hearing, hid in his brother Carl's basement with pillows over his ears lest the sound of the shells falling outside cause even more damage. 3. Vienna technically sits in two different climate zones. It's located right at the border of the moderate middle European transitional climate and the drier Pannonian zone. 4. The German name for Vienna is Wien. So yes, that means Austria’s most famous dish, the wiener schnitzel, translates to Viennese schnitzel. The proper serving of the dish is breaded veal with a side of parsley potatoes or a potato cucumber salad. 5. Vienna’s Spanish Riding School, or Spanische Hofreitschule, has kept the renaissance tradition of Haute École equestrian alive for more than 450 years. The name of the institution refers to the horses introduced in the 16th century from Spain’s Iberian Peninsula—today's Lipizzaner stallions are descendants of these. 6. The famed Vienna Boys Choir’s roots date as far back as 1498 [PDF]. Wolfgang Amadeus Mozart worked with the choir and Franz Schubert was once a member. In 1918, the group became a private institution, and their imperial uniforms switched to sailor suits. Now, there are more than 100 boys between the ages of 10 and 14 from 30 countries split into four choirs, giving more than 300 performances a year. 7. Over the course of a century, Vienna's population has hovered between 2 million (its peak, in 1910) and 1.48 million (in 1987). As of October 2014, there were approximately 1.8 million inhabitants. 8. The Vienna Giant Wheel, or Wiener Riesenrad, was built in 1897 to honor the Golden Jubilee of Emperor Franz Josef I. A year later, in a protest intended to draw attention to the city's poor, a woman named Marie Kindl hung herself outside one of the cabins. By 1916, a demolition permit was issued, but there wasn’t enough money to actually destroy it. In 1944, it was burned down, rebuilt the next year, and put back in rotation in 1947. 9. The snow globe was invented in Austria in 1900 when Erwin Perzy was trying to improve on the light bulb—he added water and semolina flakes, in the hopes that the light would bounce off them and cast a brighter glow. That didn't happen, but the effect was striking. Mass production began in Vienna in 1905 by his company, Original Vienna Snow Globes, and the flakes are still falling today. Now run by his grandson, Erwin Perzy III, the family business has made customized globes for Bill Clinton, Ronald Reagan, and First Daughters Sasha and Malia Obama. 10. The 521 square miles of the Vienna Woods, or Wienerwald, are home to 2,000 plant species and 150 bird species. At least two endangered species—Ural owls and green lizards—have made the forest home. 11. The Austrian city has been home to the Organization of the Petroleum Exporting Countries (OPEC) since 1965. And although the United Nations is headquartered in New York City, one of its primary offices is in Vienna as well. The building serves as home base for the UN's International Atomic Energy Agency and Office on Drug and Crime. 12. 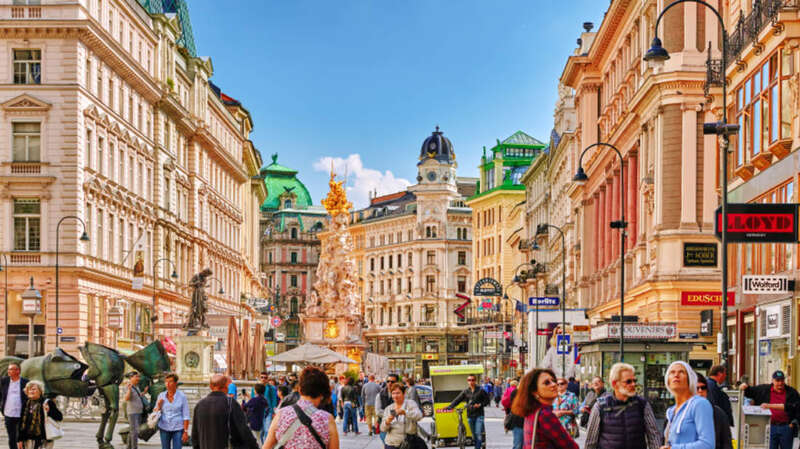 Vienna is the second most livable city on the planet after Melbourne, Australia, according to the Economist Intelligence Unit’s study ranking 30 factors, ranging from safety and education to infrastructure and healthcare. 13. Almost 3 million people a year visit the city’s most famous church, St. Stephen’s Cathedral, or Stephansdom, built in the 12th century. Thirteen bells hang from the tallest tower, which stands 448 feet high and is accessible by climbing 343 steps. But it’s the Pummerin bell, in the 224-foot-tall tower, that happens to be the second largest free-swinging European chimed church bell. Composers Joseph Haydn and Wolfgang Amadeus Mozart have both worked in the church. 14. Be the belle of the ball: Every year, more than 450 balls take place in the Austrian capital. Viennese Ball Season runs from New Year’s Eve to Shrove Tuesday (the Tuesday before Ash Wednesday). That means there's about 2000 hours of ball dancing annually. 15. The Vienna Philharmonic’s New Year’s Concert is one of the hottest tickets in town, with prime seats costing as much as $1200. This year's show was seen on TV by 50 million viewers in 90 countries. And you have an absolute zero chance of scoring a ticket to ring in 2017. Names must be selected by a random drawing to have the opportunity to purchase tickets—and the entry period closed on February 29. 17. The hills may have been alive in Salzburg, but the real-life Maria von Trapp, made famous by The Sound of Music, was actually born in Vienna on January 26, 1905. 18. Also born in Vienna? Actor Christoph Waltz, who spent most of his career working in Europe until he landed a starring role in Quentin Tarantino’s Inglorious Basterds in 2009. The Austrian-German actor has since appeared in 2011’s The Green Hornet, 2012’s Django Unchained, 2014’s Big Eyes, 2015’s Spectre, and is signed on for two more Bond films. 19. Vienna has bragging rights as the only world capital that produces “significant quantities” of wine within its city limits. With 1730 acres of “wine-growing surface,” there are more than 320 vintners. Eighty-five percent of the wine produced is white wine grape varietals. 20. By 2050, life expectancy in the city will be 89 years old for women and 85 for men. Comparatively, life expectancy in 2013 was 81 in the country and 71 years globally. 21. The 13-mile Danube Island was open in 1981 to reinforce Vienna’s flood protection system and has become a prime recreation center, with a 820-foot family beach, a (free!) 53,820-square-foot waterpark, and a climbing park where guests can ascend 33 feet into the air. 22. Austria’s largest palace, Schonbrunn, has been one of Vienna’s most visited sites since 2003. But you can still make the experience personal. The 1798-square-foot, two-bedroom Grand Suite is available for rent—with rates around $1500 a night. But really, how do you put a price on the ability to say you’ve stayed overnight in the former imperial home of Emperor Franz Joseph and Empress “Sisi” Elisabeth? 23. If splurging on a palatial stay isn’t up your alley, the gardens around Schonbrunn Palace are equally majestic—and free. Open to the public since 1779, the Baroque-style gardens include a labyrinth, a zoo, Roman ruins, Neptune’s Fountain, and a Gloriette atop a hill with a sprawling view of the entire grounds. 25. When ordering a hot dog from one of Vienna’s trademark hot dog stands, get ready to answer whether you prefer the sweet kremser mustard or spicy estragon. Vendors may shorten it to süss (sweet) or scharf (spicy). One of the most popular kiosks is the old city’s Würstelstand am Hohen Markt.